Marcus Pearce believes niching your business is essential, but niching your life is disastrous. A journalist by trade who now runs Australia's #1 health and lifestyle podcast network The Wellness Couch, Marcus created the Exceptional Life Blueprint in 2014 to help people rise from mediocre to magnificent in each area of life (and not just one). Marcus spreads his message through podcasting (as host of 100 Not out), speaking engagements, mentoring clients, online programs and running events. Most recently Marcus ran a longevity retreat to the Greek island of Ikaria - known as the island where people forget to die - and you'll also find him as the Executive Producer for The Wellness Summit, an annual 2-day event held in Australia. Marcus lives in Byron Bay with his beautiful wife Sarah and three children Maya, Darby and Tommy. “Not everything that matters can be measured, and not everything that is measured matters' Albert Einstein. We live in a world today where everyone is so time poor, we are all looking for ways to save time or to ‘hack’ certain areas of our lives. People are trying to hack everything whether it be an exercise hack, a fitness hack or a relationship hack. Everyone has become hyper niche, meaning that they are just focusing on the one thing or the one area of their life, forgetting that there are then going to be consequences or let downs in other areas of their life as a result. It’s okay to niche your business but to niche yourself is diabolical and I say that as someone who has made that mistake myself, for me it was a nutrition hack, I was vegan for 7 years, I cut out alcohol for 5 or 6 years and learnt the harsh circumstances of taking such an extreme approach. Growing up I was an overweight pimply teen, I liked sport but I was never very good at it. However, I loved commentary and journalism, I knew I wasn’t going to be the next AFL superstar but thought why not do the next best thing and call it. I was putting all my eggs into the future career basket, and letting other areas of my life fall past the wayside. I had no concept of what it meant to eat well or exercise, I was quite emotionally volatile but never knew why I couldn’t tolerate certain things, I thought it was just part of my makeup. This all turned around when I met my now wife who is my complete opposite; I like to do things quickly whilst Sarah likes things slow, I like loud, she likes quiet, I like to do things high up, she likes to do things down in the ground, I always like to be moving, Sarah likes to be still, I grew up in the city, Sarah grew up in the country, we are such opposites in so many ways. When I met Sarah, I was smoking and binge drinking, Sarah was a health professional working as a chiropractor, even though we were complete opposites our worlds collided and we were madly in love. I remember I was working on the channel 9 Footy Show, it was one of my dreams, it was like playing for the team I had barracked for growing up. I remember the night that made me realise that it was time to change, it was 4 o’clock on a Friday morning when I got home, I had been in my suit all day, I was that tired I didn’t want to shower. I climbed into bed next to my new girlfriend of two months, reeking of cigarettes and sweat, it would have been so disgusting but that’s where I was at that point of my life, I realised that the man that I was probably wasn’t going to be the most attractive partner 5 or 10 years down the track. I realised over the next month or two that something had to change, that was the catalyst for a couple of big life changes. That fork in the road helped me to realise the link between accountability and success, as I hadn’t had a girlfriend previously I had never experienced that sense of being accountable to another person. Sarah was my first real girlfriend at the age of 23 or 24, and I realised if I kept going the way that I was going I might not end up with a girlfriend further down the track at all or I might end up with a girlfriend who wasn’t right for me, who only enabled my negative behaviours. I started to think of the consequences of my actions, what if me continuing to smoke meant that when I was ready, I wasn’t able to have kids, I finally opened my eyes to the costs of continuing these habits both financially and in terms of my health. This was when I truly came to understand the concept of personal growth, I had already been exposed to a lot of Tony Robin’s work 2 or 3 years prior to this as mum had given me a copy of one of his programs for my 21st birthday. However, as much as I was into this idea of personal growth, I would always skip over the health sections or the parts that I didn’t think were relevant to me, they were just so opposite from my life at that time and at that age we all think we are invincible. I finally did something about my health though, I gave up smoking, I calculated the financial cost of smoking by multiplying my daily habit of 3 cigarettes a day by 365 days a year which is over 1,000 a year. I then got thinking that if you multiply this by ten years that’s more than 10,000 per decade or 50,000 over 50 years, that was enough to motivate me to quit. It also helped Sarah and I to stay together, we developed a great relationship. I left the media industry which I found quite toxic at the time to travel the world, Sarah and I ended up living in Ireland together for a year. When we returned to Australia I knew I had no interest in returning to the media, I had well and truly been bitten by the health and wellness bug. Sarah and I moved down to Inverloch in South Gippsland where we set up a chiropractic and wellness centre, fast forward a few years and I got involved in a Podcast called the Wellness Couch. I always knew that when I left sports media, that I would eventually move into personal growth media, it just took a bit of time for it to happen, I had to first build up my reputation in the health and wellness area otherwise no one is going to take you seriously in this space. Then in 2013 the Wellness Couch truly started to spread its wing, we held a Wellness Summit which we now hold every year, we just had over 900 people at our 2016 event. Then after a number of years I decided to start my own business, the Exceptional Life Blue Print, which was formed from a combination of many years of studying what it is that makes some people mediocre and what makes others exceptional, I drew heavily from my own experiences and looked at the different areas of my life. It is fair to say that whilst my mates were buying houses I was buying programs, courses and retreats in order to further develop myself; a lot of money went towards the Tony Robins mastering university programs which were $15,000.00 each and which saw me travel all over the globe. Sarah and I were very big on undergoing a lot of this personal development together, admittedly buying houses was alluring but at that stage of our lives we weren’t drawn to settling down in one place permanently. Where we live now in Byron, I am drawn to starting a family and raising our children here over the next 15 or 20 years, however when we were in Inverloch we weren’t drawn to remaining in that one place or settling down, maybe we just weren’t at that stage of our lives yet. I am a big fan of loving where you live not just tolerating it, a lot of people say they live where they can get work but they don’t necessarily wake up every day and think I love where I live. I don’t just mean the physical brick and mortar house, I don’t necessarily love the house that we are in at the moment but what I do love is the street, the people, the community, the weather, the schools, the markets and the environment. I think one of the key areas which we need to consider when talking about personal growth is the concept of traditions, and doing things in a certain way because that is what has always been done and that is what people come to expect moving forward. We should be clear on the fact that we all do things in a different way, often we refer to doing things in a traditional vs a non-traditional way, but whose tradition are we speaking of. Even when we take something as simple as food and diet, what diet is traditional? What would be considered a traditional diet in Japan is very different from the traditional Mediterranean diet which is again very different from a traditional South American diet. So, when we say traditional, the first thing I think is whose tradition as there are different traditions in every different group within the community. I believe that what we all consider to be our personal traditions are very much so influenced by our peer group, whether that’s your family or friends, I think in many respects Australia is still too young to have a distinct culture of its own, instead we have a mix of other cultures such as England’s, Ireland’s and Greece’s, Melbourne has the seventh highest Greek population outside of Athens. If you look at the biggest regrets of human beings according to the book The Top 5 Regrets of the Dying, human’s greatest regret is that they live their lives according to the values and expectations of other people rather than the values and expectations of themselves. We live according to the wants of our parents, our bosses, our children and our partners rather than stopping to ask what do I want? We live in our life in a compromised society in that we live our lives according to the wants and needs of others, most people have a to do list which checks off everyone else’s agenda but their own. The reason most people don’t exercise first thing in the morning is because they get up and make breakfast for their children, already their priority are the needs of another person. I am pretty selfish being a Leo by birth, for me the first question is what do I want to do not what do other people want me to do? I wanted to invest in personal growth, I wanted to travel the world, I wanted to get out of mainstream society and to see firsthand how other people live. This year we took 13 listeners of our podcast over to a Greek Island for a retreat, the island of Ikaria, which has been nicknamed the island where people forget to die. Their tradition is very different from ours, they have no public transport, no multiculturalism, no real sense of commercialism. They use to have a 24-hour supermarket but it closed down because no one went there, instead their idea of a supermarket is what we would call a farmer’s market where the locals only sell their neighbours produce, it’s hard to find food with a label on it apart from the occasional bottle of coke. I don’t think we spend enough time defining our own creed or our own culture, we just subordinate ourselves to what everyone else wants us to do. I think it’s important we do it our own way. The story behind it all is that after going through a lot of personal growth I became indoctrinated in being a vegan, I thought being a vegan was the most enlightened way to eat, essentially being someone who doesn’t have any animal products in their life. Roast pumpkin salads were my staple lunch; you might have a green smoothie for breakfast and you’d definitely be a big fan of kale. It would be very much an eastern derived diet. I believed that being a vegan was basically the fountain of youth, I thought if you ate well then you would live for a long time, and if you didn’t, then you wouldn’t; I think the media basically tells us that if you eat well you will be okay, otherwise disease and sickness will come your way. One night in 2010 I was reading a book by John Robbins, who was once the heir to the Baskin and Robbins fortune, he was their only son. One day he came to the conclusion that despite being raised on a diet of ice cream, despite living and breathing everything ice cream, that he was not going to be the inventor of the 32nd flavour of ice-cream nor was he going to take over the family business as his parents had expected him to do. He instead ostracised himself from the family, he lived in outback Canada, sewing kale seeds and teaching mediation classes for as little as a dollar per class. 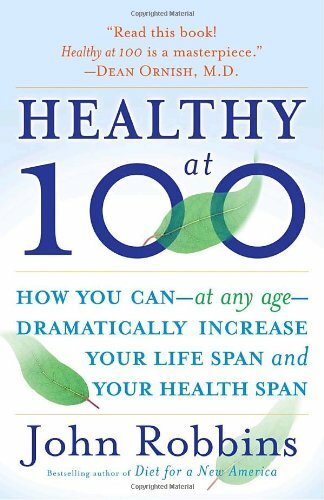 He also went on to write a number of books, one of them being Healthy at 100, in which he refers to a study conduct by Yale Health of 600 plus people over 20 years, asking questions such as, as you age you become less useful, agree or disagree? Of course, in our youth obsessed culture most people agreed but what was interesting about the results was that on average those who agreed died 7 and a half years earlier than those who disagreed, than those who appreciated their usefulness continued despite their age. Now remember that I was a vegan who believed that diet was the true fountain of youth, yet here all that those who lived on average seven and a half years longer were asked simply about was a belief. The study didn’t look at diet, exercise, genes, relationships or location, all it asked about was a belief. This for me was an ‘uh huh’ moment, the fact that a belief could have so much power. It made me think of all the people that were coming into our Chiropractic and Wellness centre on a daily basis with their age-related excuses, that they were too old for this or too old for that, that their age meant they simply couldn’t do anything. It was this realisation that made me determined to dedicate my life to helping others to raise from being mediocre to magnificent, but before I could help others master their lives’, I had to master my own. I realised that I needed expand my view of life beyond nutrition, to look at my relationships, my career, my exercise habits, my finances, my connection to a greater purpose. This is what I have become magnificently obsessed with over the last 6 years because it has become burnt into my brain that if we only become the master of one area, for me it was nutrition, but we fall by the way side in other areas then the consequences are dire. Who wants to be stuck in a job that they hate, eating their paleo approved lunch at their computer, bored out of their brains with no friends or no one to go home with, and no level of fulfillment? Then it doesn’t matter what diet you are on. This is the basis of my magnificent life program which I do workshops and talks on, the foundation is that life must not be niched into our diet or our career or our family, we need to recognise that life is a 1000-piece puzzle and we need them all to come together and to fit with one another. I am a big believer in the idea that you must master time or time will master you, if you don’t make a plan you will get call after call, email after email and then all you will do is what others ask you to do. There are 8 major areas of life which my programs focuses on being; life purpose or career, social life, nutrition, loving relationships, wealth, movement, growth and spirits/faith. I would call these your exceptional 8, I then structure or plan each day to address each and every one of the exceptional 8, some steps might be big steps, some small. Generally, my exceptional 8 begins by waking up in the morning and exercising, I think that people try to life ‘hack’ things too much, some people have 5 to 8 things to do every morning, we have over baked the cake with hacks. For me the one ritual is exercise, that’s all I need to get going. My partner and I try to make sure that we both get to have this time in the morning, that once I have had my time I will then take over getting the kids ready whilst she has her time. 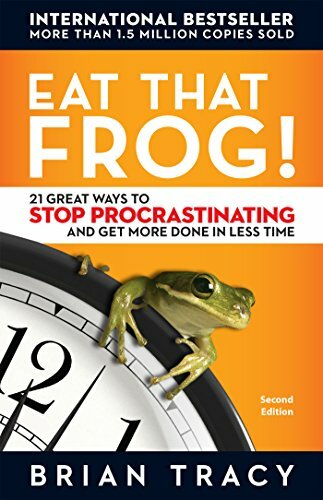 I then like to do my most important things for the day, I am a big fan of Bryan Tracy and his book, ‘Eat that frog’, essentially the principle is that I do the most important things in the morning, not necessarily the most urgent but the most important. I go to my local café, and I generally work there from 9-11:30 doing my most important tasks, usually I don’t take calls during this time. it’s still a social environment but I get so much more done there then what I would at home. I will then come home to have lunch with the family and take short break to refresh for the rest of the day. Then I will do my client and mentoring work in the afternoon as this is when I find I am far less creative and far less disciplined, I find that interviewing or interacting with people re-energises me and that’s why I keep my human interactions for the afternoon, as I already have that sense of energy in the morning. Then I will generally finish my work day at 5, have dinner with the family and then I try to make sure that I always get some couch time with my beautiful wife Sarah, it’s a massive deposit in the relationship even if it is something as simple as having a cup of tea together and talking about our days. Sarah will usually go to bed between 8:30-9 so then I have however much time from 9 onwards to relax, to read a book, to do whatever is going to wind me down for the day. I like to be sleepy when I am going to bed, not ramped up with 1000 thoughts going through my head. I am a big AFL fan so I also like to check the AFL app and see what’s going on during the season. This is pretty much my Monday to Friday in a nutshell. I plan for the following day every night so that when I go to bed I know what is on for the next day. I use a couple of different planning systems including the Tony Robins rapid planning diary and another program called ‘Time of your life’ which costs around $500.000. It’s not so much the materials, it’s a difficult program to complete and is very intensive but what I like about it is that fact that it is a very philosophical way of thinking about the concept of time. I order things, I don’t just have a to do list instead I assign time to each task and asterix those which have to be done that day because they will have consequences if they are not done. It’s a priority list of what will ideally happen in the day, I don’t beat myself up if I haven’t ticked everything off the list. You have to choose a structure that works for you, some people like my wife Sarah don’t find planning their day in this sort of way effective for them. If you are creative, for example if you are an artist or a musician then this is probably not going to float your boat. If you are in a structured environment and you need to be structured then plan like this, I mean I don’t do it on the weekends, this is my Monday to Friday. My website is probably the easiest point of contact which is simply marcuspearce.com.au, you can join the exceptionalist email list and receive weekly emails. I also have a podcast called 100 not out, which is about making the best of your life at any age. I am on the social media sites as well under Marcus D Pearce; Instagram, Facebook, Twitter and the like. If people are interested in one on one mentoring I am contactable on email, I am one of those people who pride themselves on keeping their inbox below 50, my email is marcus@marcuspearce.com.au.